In the Native American Zodiac, Snow Goose is an ultimate environmentalist – enough to turn those white feathers green! Snow Goose people value the world’s resources as well as personal ones and tends to them conscientiously; using all the means at their disposal. Snow Goose appears on the Medicine Wheel in the Cardinal Direction of North and during the season of Snow and Renewal. 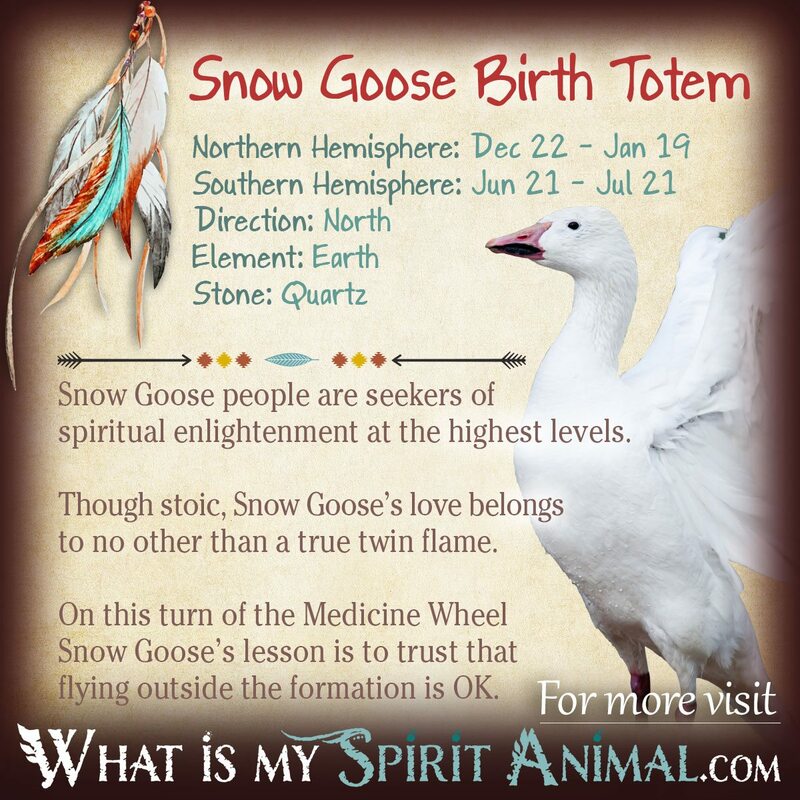 If you were born between December 22 and January 19 in the Northern Hemisphere, or June 21-July 21 in the Southern Hemisphere the Native American Zodiac places you under the influence of the ever-patient Snow Goose. In Western Astrology this correlates to similarly long-suffering Capricorns (North) and imaginative Cancers (south). Native American tradition ties Snow Goose to masculine energy that vibrates with reliability, ambition, tenacity, and a strong work ethic. Throughout Snow Gooses’ life they seek cooperation with the ebb and flow of reality using perseverance and resourcefulness. If you had a microscope you would find sensibility written into the Snow Goose soul as surely as DNA, right down to cellular memory. When a silly Goose doesn’t listen to that inner wisdom they begin to doubt themselves and lose that level-headedness common to this sign. As a result, Snow Goose may seem outwardly dawdling when in fact there is a whole lot of strategy stirring within. Goose knows how to plan and meter His steps with eyes firmly focused on the road ahead. Part of Snow Gooses’ plan is focused on caring for his Gaggle. The only problem is that Goose becomes lost in projects easily until completion of a goal. This is one of life’s challenges for Goose – to remain aware of the nest and life’s little joys as much as He does on-going objectives, including spiritual ones. One of the true beauties of Snow Goose, beyond their appearance, is that these people have a truly refined sense of honor. You can trust Snow Goose to use old soul knowledge and impart honest insights that come from a true place in the heart. In Buddhism, the Gooses’ outlook corresponds to one of right intention, right action, and right effort. Native Americans tell us that Goose guards the North wind. This is the cool wind that blows when it is time to rest, listen to the voice of the Divine and then let those insights rejuvenate our souls. In fact, many global religions include a Goose as a symbol of the God/dess including Brahma, the God of creation (Hindu). It is no wonder that Goose wants to create beauty, while also seeking elusive magical and spiritual truths. In the Far east Goose represents family values and faithfulness, and Native Americans agree – thus if your partner is a Snow Goose he or she will have a very strong drive for traditional weddings and relationships with all the romantic luster of a golden egg attached. While this might sound rather melodramatic, nothing could be further from the truth. Silly Goose loves to laugh and extends warm emotions to those they trust. This feather-lightheartedness fills their aura even when deep into ambitious projects. The crystal for Snow Goose is the energetic quartz that offers protection, healing, and release of negativity. Clear Quartz is an “energy amplifier” that helps create a strong link to inner and outer worlds. Goose’s plant is the Silver Birch, representing a long life lived prayerfully, and purely. Goose does not like toxic situations and avoids them whenever possible. The Native American Zodiac pairs Snow Goose with Beaver, Brown Bear, Woodpecker, Snake and Wolf. Goose seeks a partner that inspires respect, and often one who has a strong financial base. In the initial stages of a relationship Goose needs reassurance and ego-boosting. Once within a committed relationship, however, Snow Goose understands the necessity of duty. Goose people shoulder tremendous responsibility to the nest and all those in their chosen circle. This birth totem animal always shows loved ones respect and works very hard on maintaining and strengthening family ties. Within the realms of a healthy coupling, Goose mates for life and with quite a fervor. Goose lovers are sensitive, romantic, and enthusiastic in bed. 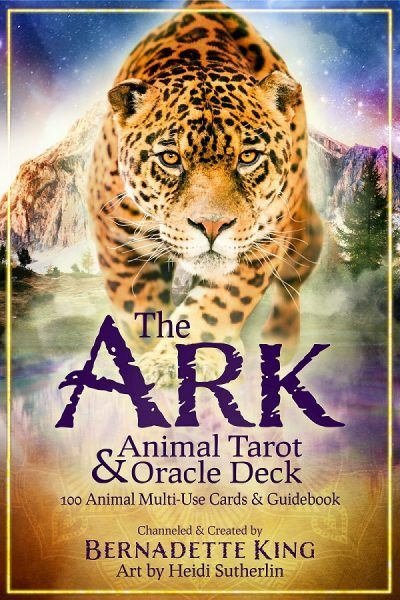 The Native American Zodiac tells us that Goose is quite the weaver of tales, and as such would do well in any career that utilizes clever phrasing from writing fiction or children’s books to marketing and advertising. Snow Goose is very contentious about their job but may like to work alone as honking their own horn isn’t a forte. Most Goose people gravitate toward predictable work where they can meter progress substantively. I am separated from my husband whose zodiac is snake. Mine is snow goose. We were pretty compatible for a long time. When we had financial problems and I had severe physical problems he went back to old addictions and became abusive. Is it possible he will get back to how he used to be? I don’t trust him anymore. What do you think the future holds for a possible friendship. Right now he is blocking my phone calls. Thanks. It is always possible that people and relationships will heal. It would be up to you, both, to make the commitment to work together toward this shared goal. Very nice ..I felt good to know more about me..I do believe native american tradition and philosophy ..though I am indian from india . Hello Bernadette, what an informative artice, extremely useful! My ex-husband is a snow goose & i’m a snake. Since our divorce in 2001, we’ve remained close & every time we see eachother there’s a sense of us being drawn back together. I can’t explain exactly, other than that I feel a deep belonging & connection like I’ve never have had before. Is it common for these to spirit animals to have this strong of a bond? Also, do these two share a connection forever? Trying to have a deeper understanding of our relationship! Thank you so much! Is it normal for the Snow Goose to feel restless, to be drawn in different directions? Hello to you Bernadette. Thank you for my lovely reading. I Am for sure a stong seeker of Spiritual Enlightenment. I have two amazing horses that I have learnt Natural horemanship and understanding. I live in paradise for sure in a wonderful cottage that I won awards for. My Leadership skills are amazing and yet!!! I sit at home with no calling. I have no desire to work with depressed unhappy people and yet i seem to live in a beautiful town thats full of them This place truly is paradise for those who see.I used to want to be in service but now I just do acts of service. I know i a, capable of healing the world yet again I sit at home with no calling. Hohum. I Am a reiki Master on every level and extemely intuitive,loving,warm & fresh. No partner, Not worried about anything, Infact my thoughts are clean & clear. Meditation is my song.Joy is my Be ing. Thank you for listening. Much love. Jojoy Brown. Joyoligist.